I’ve written a few of these posts now on natural skin care in the UAE and where to find these products since it’s something I’m really interested in and care a lot about (see previous natural skin care posts – Part One here, Part Two here and ‘Decoding Natural Skin Care’ here). And now, since the arrival of baby Arabian Notes, it’s not just my own skin care that I worry about – it’s his too. So that led me on a bit of a mission to find what natural skin care products are available here in the UAE for babies, and to try a bunch of them out. It turns out, that once I started looking, I found a lot more than I expected. So many more in fact that this post has become a bit of a beast in length and I’ve had to split it in two. So here’s part one, Baby washes and shampoos. I started off using water wipes for baby when Baby Arabian Notes was first born as a friend had told me about the Mum of Boys Ultimate Hospital Bag List and water wipes were one of the recommendations. I initially had some brought out from the UK since they don’t seem to be available here in the UAE, and when those ran out, I started to look for alternative natural wipes. I tried the Hipp Organic ones that you can get from Mumzworld and the Organic Foods and Cafe, but I didn’t like them – they were too fragranced for me and also they weren’t folded in the pack so that everytime you pull one out it lifts the next one, which just made it very difficult trying to scramble around with one hand mid-change to get the wipes out all the time. 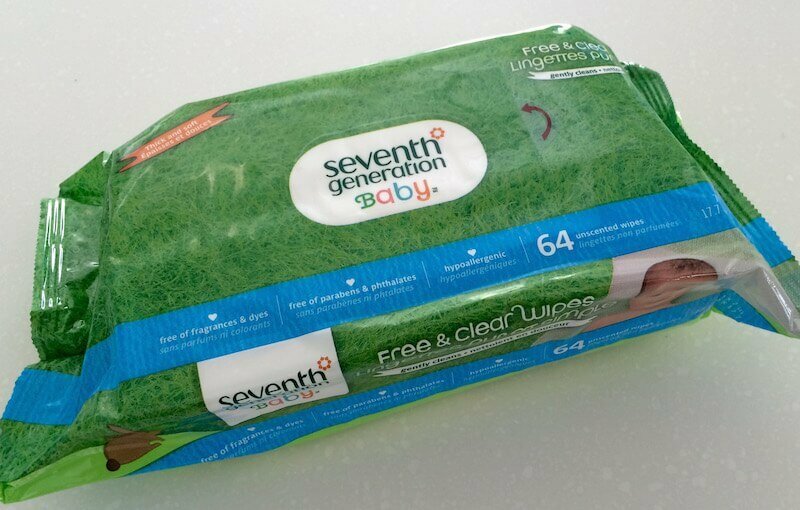 I did some reading on natural wipes and liked the sound of the Seventh Generation ones, and happily, found that they are available here from Mumzworld and also now from BabyShop too. They’re nice and natural with no nasties and a good thick quality so you don’t need to use as many, and they’re also folded to lift the next wipe each time so no annoying scrabbling around in the packet in the midst of a nappy change, hurrah! We don’t actually use that many products for baby really, he usually gets bathed in just plain water and then we tend to use a tiny amount of shampoo for his hair to remove any grease. I particularly love a product that has more than one use when it comes to baby – we use such a tiny amount of any product that it saves buying several and having them just sit around and take up space! 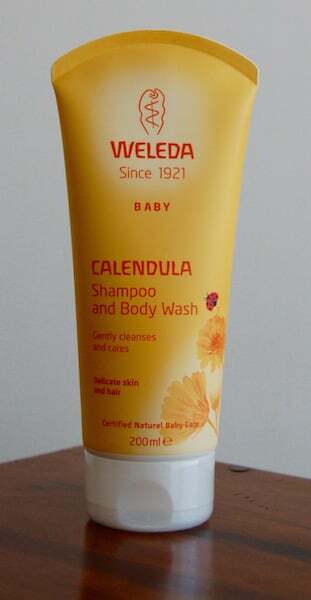 I have found the Weleda Calendula Shampoo and Body Wash really good – it’s gentle and kind, nice and foamy and doesn’t dry out baby skin at all. It’s also good for adding a little squirt to the bath water on days where baby needs a little extra clean! I bought this from Treehugger at Dalma Mall but I’m told Al Manara Pharmacies also sell the brand. 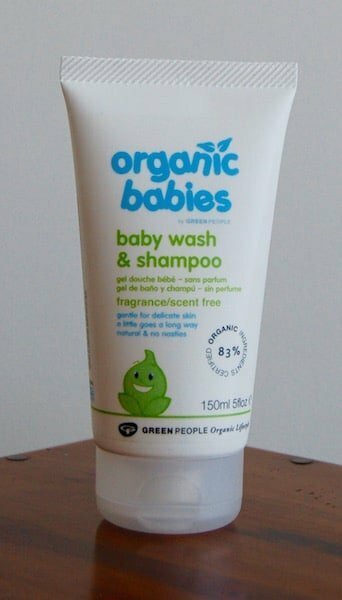 The next one I’ve been trying is Organic Babies Baby wash and Shampoo. This one is also a lovely natural shampoo with absolutely no nasties and no fragrance either. The ingredients are also 83% certified organic. The brand that makes it, Green People, in my experience have been brilliant and have loads of lovely natural products. This does exactly what it says on the tin and works well. I bought this from Treehugger Company at Dalma Mall but they also have an online store you can buy directly from. So you’ll be starting to notice that I got a bit carried away last time I went shopping for natural baby products….! Yep, it’s fair to say that I’ll have enough to last me probably until Baby Arabian Notes starts school, but what can I say? I’ve always had a bit of a thing about toiletries I suppose and I wanted to try as many as I could find! 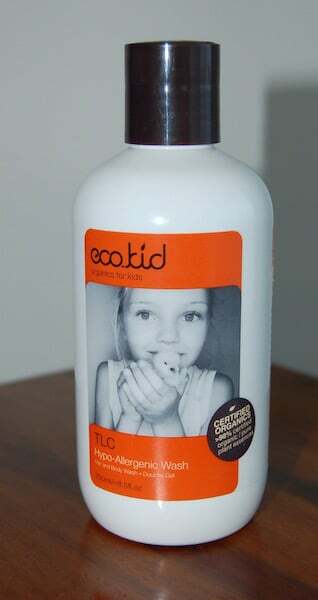 Eco Kid is another one I found at Treehugger, Dalma Mall and it’s useful as a shampoo and body wash or just to add a little to the bath water. Despite the fact that it has no nasties in it, is hypoallergenic and more than 98% certified organic, I have found that Baby Arabian Notes skin does seem to be a little on the dryer side after using this one, though I’m not 100% sure the product is to blame and it may just be coincidental. Yes, another baby wash… I told you I went a bit mad on them! And this one, I really love… It’s again of course free of all nasties and made 100% with organic ingredients and has no nasty foaming agents either. This means the consistency is more creamy than anything and doesn’t foam up, but it doesn’t need to. You still need to use such a tiny amount, although because of the lack of foaming it’s better used in your hand or on a sponge, it’s not as good if you’re looking for something to add straight to the bath water. But it just looks and feels lovely and gentle and leaves baby’s skin looking nice and supple still, with no signs of dryness at all, and even if I use it on baby’s hair it leaves it looking nice and soft, clean and fluffy. 🙂 I bought mine at Holland and Barrett in Dalma Mall though in Abu Dhabi there’s also one in BAS Mall and one opening soon in Yas Mall too! Four Cow Farm products are also available at DB Babies, Baby Souk, The Baby Boutique and Mumzworld to name just a few places! I was given this one as part of a gift set when Baby was born and it’s turned out to be a great gift. I just love all the products that came in the set and they’re so good for travel since they’re small, tester-like sizes. Brilliant. I love this baby wash as it’s so easy to use, smells lovely and a little goes a long way. Of course it’s free of all nasties and is just an all round lovely product and one of my absolute favourites. You can get the gift / travel pack from my favourites – Treehugger online or at Dalma Mall. I’ll talk about the rest of the products in the pack next time! My final baby bath time purchase (this time!) 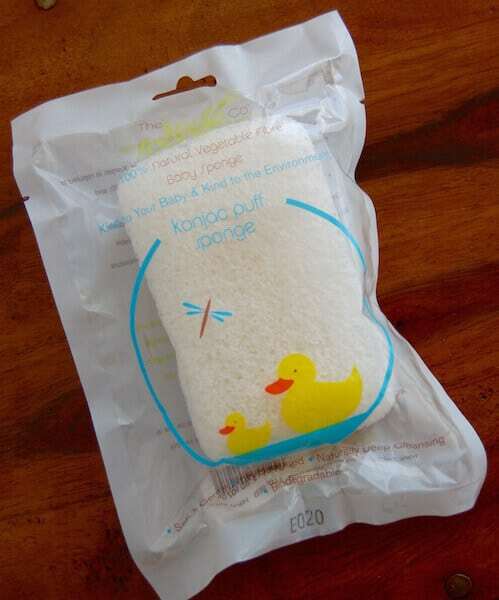 was the Konjac Baby Bath Sponge. Konjac is an Asian plant and a totally natural food source. It’s 97% water and naturally alkaline so doesn’t dry or upset delicate skin at all. I was a bit confused about this when I first tried it as it feels like a very hard, dried out sponge when it’s in the packet, and I didn’t really understand how it would work. But, I tried it in Baby’s bath and I have since been a convert – I love this thing. As soon as I submerged it in the water it softened up and feels – well, it’s hard to explain – but it feels amazing. It’s sort of squishy and soft, and it feels like it has a wash product in it – though it doesn’t, that’s just its own natural way! And I think that’s enough to be going on with… next time I’ll talk about the nappy creams, baby moisturisers and oils I’ve been trying out. NB: I didn’t mention Organic Sprout this time since I wrote about it before in Natural Skin Care Products in the UAE: Part 1 – though it is worth noting that although I found these shampoos too wasteful to use on my own long hair – they are lovely products and do last ages for baby since you don’t need much for baby hair! 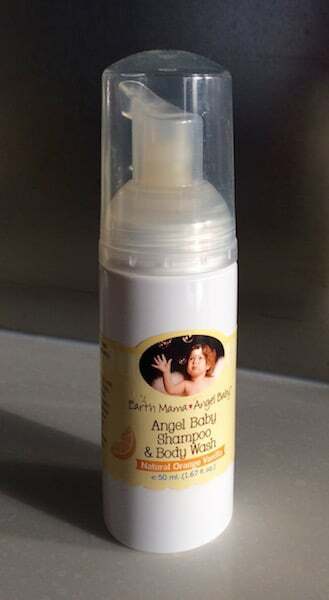 Have you found any other natural baby products that I’ve missed out? Do let me know, I’d love to hear from you!